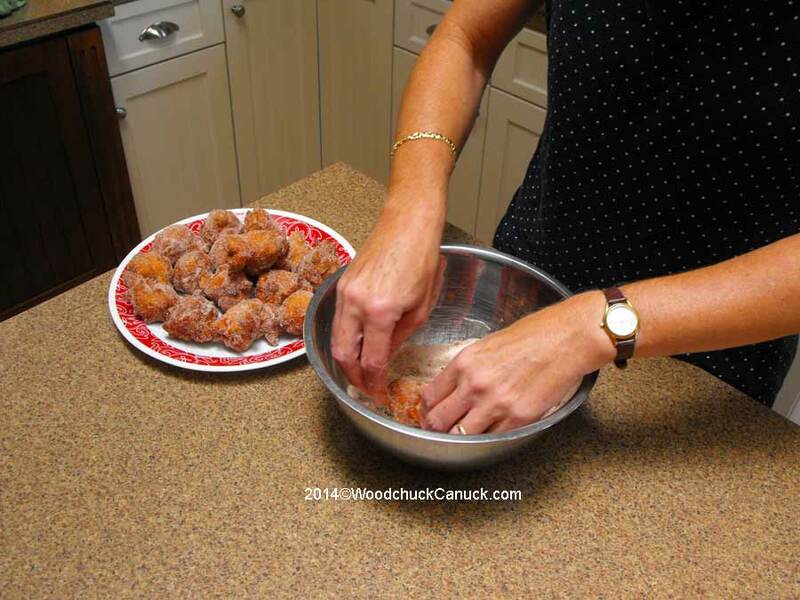 Today we tried a new recipe, something we’ve never made before at home and that is apple fritters. 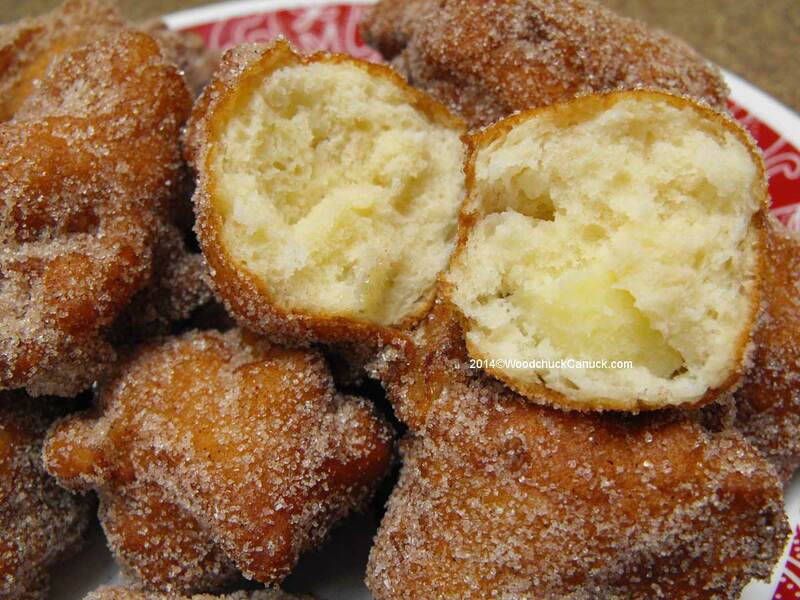 Deep fried apple fritters. Ok, technically, they would be considered ‘surface fried’ since these were not submerged under the hot oil. We heated up some previously used canola oil. While that was heating I made the batter. 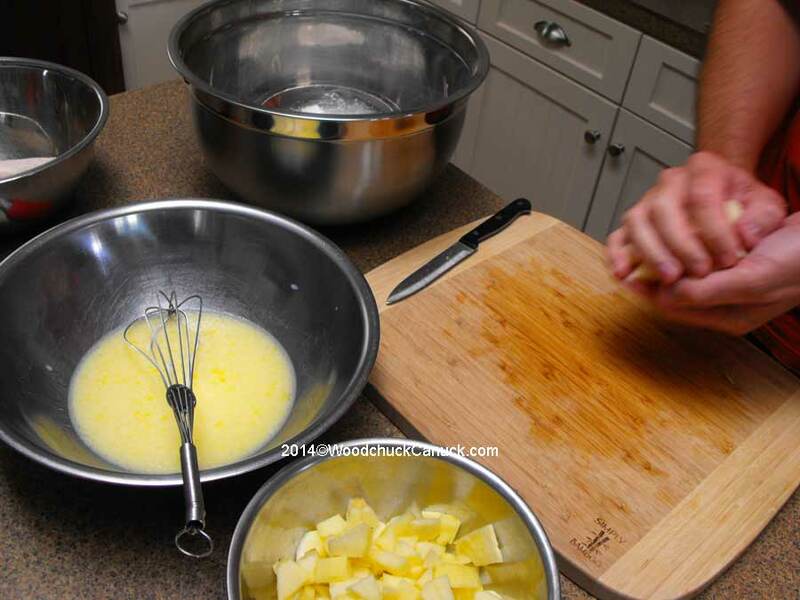 Very easy to make, dry ingredients in one bowl, wet ingredients in another bowl, then chop the apples. It called for 3 cups of chopped apples, I used 3 medium sized Gala apples. No other reason than that’s what was in the fridge. Having never made them before I ran a test of 4, scooped into the pot using a #16 ice cream scoop (standard size used for scooping ice cream) leveled off. 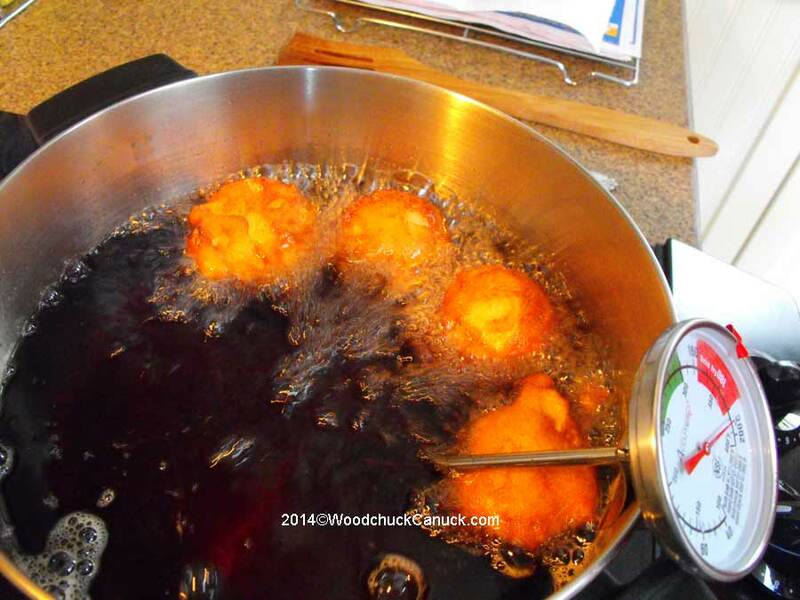 The recipe didn’t say what size to make them but they had to fry for 5 minutes. I figured that might be too long in the hot oil, hence the tests. Scooped in, they almost came to the surface right away. Good sign. After about 1-1/2 minutes some started to turn on their own. That means they were cooking well underneath, so that part becomes lighter as the air gets trapped into the batter, making the top half heavier, so they roll. Some might not all roll, so you always have to pay attention. I flipped them over & went another 1-1/2 minutes. Total now, about 3 minutes. Then I took one out and pulled it apart as a test. Still raw inside. So I waited for 4 minutes and pulled another out, cooked a little more but still raw in the center. After 5 minutes I took them out, let them rest 1/2 minute or so and tore them open, still a bit raw in the center. Conclusion: Too much batter per scoop. So the next batch in the oil I made about 2/3 of a #16 scoop. These cooked the same way, rolling over at about 1-1/2 minutes. I put in 5 to cook. Shown here there’s only 4 because I pulled one out after 3 minutes to take a look. “Almost” cooked at that time. So I let them go another 1/2 minute. Out they come onto the paper towel. I had a piece of paper towel laid over several sheets of newspaper to absorb any oil. Surprisingly very little. I opened one up, perfect. I scooped the remaining batter in, got about 8 and watched them cook and roll over. Occasionally I would help one roll over, or roll another over again because it just seemed a little too pale. Gina was busy cleaning up behind me and tossing the apple fritter nuggets in a cinnamon/nutmeg sugar blend. 1. Toss apples in cinnamon/nutmeg (or allspice) before going in the batter. 2. Try different combinations, like apple with lemon zest. Or just lemon zest, using a small scoop like a #24. Or a firm peach. 3. Instead of sugar, try a glaze.